When you select a repair shop for your vehicle – in addition to considering reputability, technical competence, customer service, location, rates, experience, etc. – remember to ask about the warranties on car repairs. This type of warranty is a promise made by the auto shop to stand behind its repair service, so if another repair or replacement is required, the auto shop will cover the cost. As a standard warranty doesn’t exist on repairs, it is important that you understand what is covered in your particular warranty. Use the tips below before scheduling a repair or signing a contract. Review the warranty in writing. Although you should feel free to ask about the auto shop’s warranties on car repairs, a conversation should not replace a physical copy of the warranty. To review the details of the warranty, read through it. After that, you can request clarification or ask further questions. Don’t move forward with the repair until you fully understand the warranty. Note the limitations. Warranties are typically subject to limitations, such as time, mileage, deductibles, procedures, and authorization. Clarify any vague terms in your warranty, be aware of your warranty period, and keep all service records and receipts in case a discrepancy arises. Every warranty has limits, and if you don’t understand and stay aware of yours, you could be left in the lurch. Read the fine print. Don’t assume that if your warranty applies, it will cover all related costs. Diagnostics, taxes, supplies, and tear down fees are usually the responsibility of the vehicle owner. Again, if you have any questions about these charges, just ask your auto shop for clarification. SELECTED FOR YOU: Why Won’t My Car Start? Don’t skip routine maintenance. Just because you have a multi-year warranty following a purchased repair, you aren’t off the hook when it comes to routine maintenance. Most warranties become invalid if the car owner neglects maintenance duties, so be sure to review your manufacturer’s guidelines and schedule maintenance into your calendar. In addition, keep your invoices as proof of your due diligence. Use an ASE- and ASA-certified auto shop. The Automotive Service Excellence (ASE) organization tests the professional knowledge of mechanics and certifies those who prove their competence and skill. Be sure that the specific mechanic working with your vehicle has earned the ASE certification in the type of repair you are getting. In addition, the Automotive Service Association (ASA), which allows for voluntary membership, is a great source of respectable mechanics. All ASA-certified auto shops pledge to uphold high ethical standards. Look for Certified Auto Repair facilities. 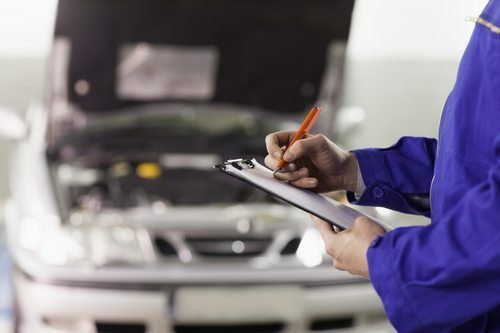 Auto shops branded by Certified Auto Repair must meet a strict set of guidelines in order to qualify, including employing ASE-certified technicians and utilizing cutting-edge training and technology. They are dedicated to providing customer satisfaction and offer a written, guaranteed warranty for all qualifying repairs. Click here to find a Certified Auto Repair center near you. Or, if you’re located in Springfield, Missouri, or northwest Arkansas, simply give Seeburg Service Center a call. We have BIG news regarding our warranties on auto repairs. Recently, we introduced a major change in our coverage, increasing it from 12 months and 12,000 miles to 36 months and 36,000 miles. 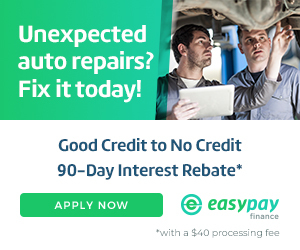 And as members of Certified Auto Repair, we can offer that warranty nationwide. To get started, please contact us online. We look forward to hearing from you!